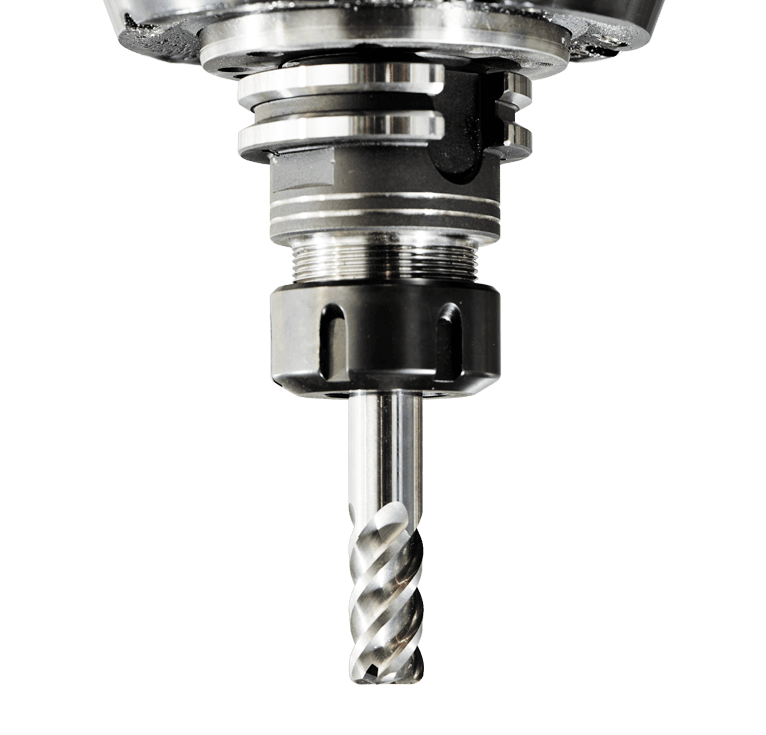 Allis Tool has 6 Turning Centers (lathes) with live tooling that can accommodate different sizes ranging up to 35.43” in diameter to 126.00” long. Allis Tool also provides all necessary secondary milling and grinding operations offering customers surface treatments with CMM reports. The bigger, the better. Bring it on. We’ve got CNC machines at our disposal to create absolutely anything. Think wind turbine housing, construction equipment and turbomachinery. 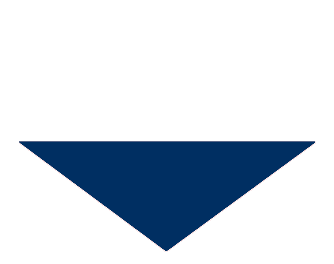 Applications in the oil & gas, aerospace, and medical industries. High power, tight tolerances. 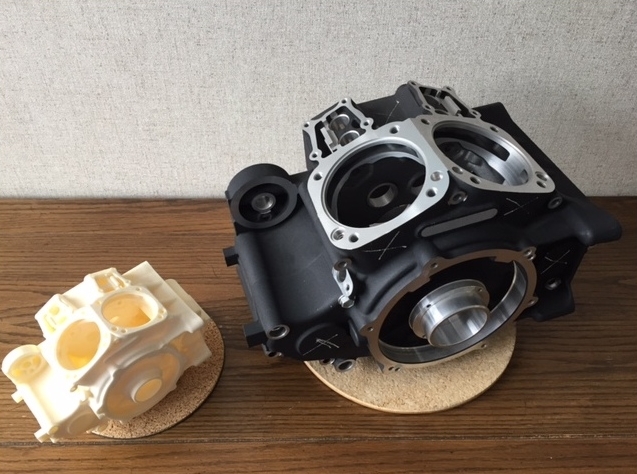 A local motor cycle giant and power generation company utilizes Allis Tool & Machine Corp. to prototype machine engines, cast iron transmission blocks, shredder rotors, gear housings or master slips for oil rigs. We set up the machining process on your floor—for you. 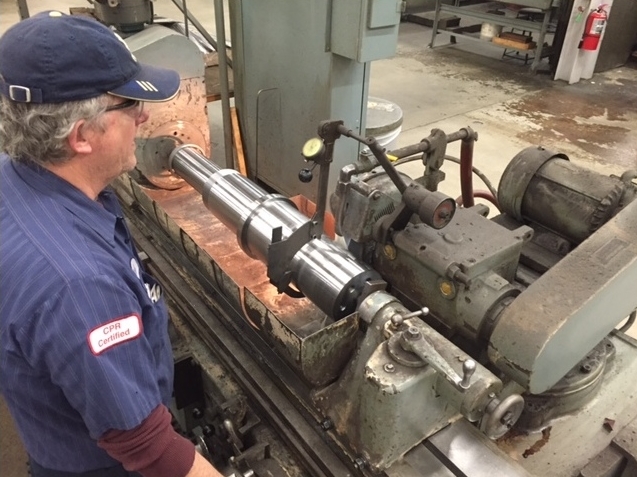 This isn’t the end of it—beyond our primary services, we also perform a plethora of miscellaneous services, including drilling, boring, tapping, reaming, necking, knurling and a host of other highly specialized machining tactics. Allis Tool & Machine Corp's certified welders fabricate light to medium gage weldments. Hard facing of wear parts is where we specialize. A high percentage of the jobs fabricated at Allis Tool are finish machined. Why? Because nobody does it better. Allis Tool & Machine offers high-quality surface grinding, internal grinding, and cylindrical (ID/OD) grinding services. Our grinding services achieve unsurpassed dimensional accuracies and surface finishes for demanding applications. 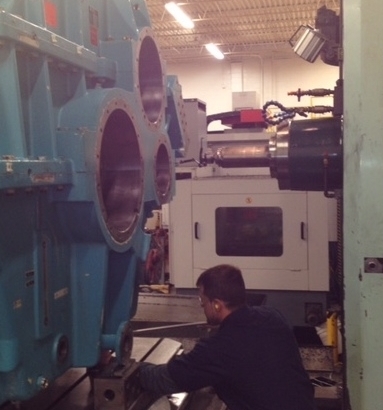 Our impressive vertical machining centers are capable of milling components 12 feet long and 8 feet wide. Three and four axis machines mill, drill, bore, broach, thread and face tough metals like titanium, zinc and iron into carefully crafted large CNC parts. Our journeymen toolmakers have an organized method of disassembly, carefully noting wear parts that require rebuilding and/or replacement. Rebuilding older equipment often costs less than full-blown replacement. 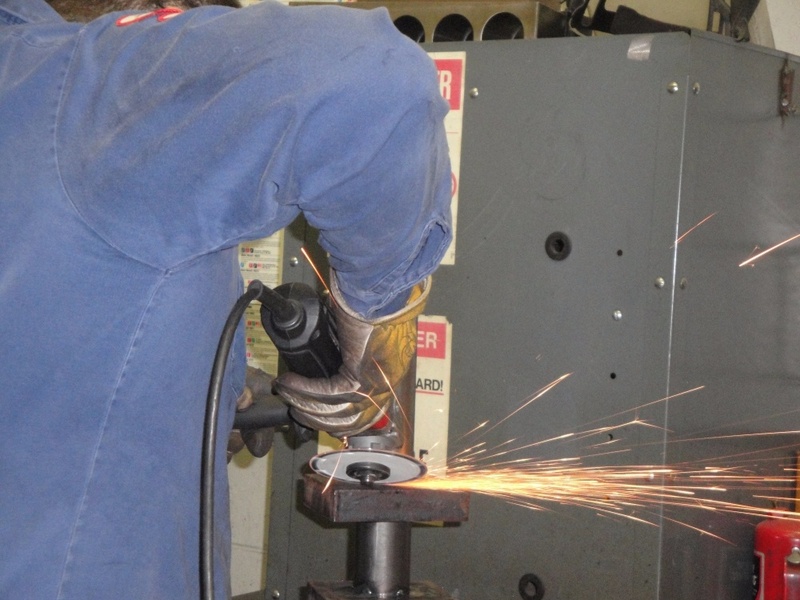 Allis Tool & Machine capabilities make us the industry standard for equipment repairs. Our specialization lies in the production of large, heavy, and complex components in volumes of about 1 to 300. We employ a state-of-the-art 4-axis Mitsubishi wire EDM machine with an integrated automatic wire threader system to reduce setup time and, in turn, production time and cost. Allis Tool & Machine machines prototypes and low volume parts that would fit in the palm of your hand or weigh as much as 20,000 lbs. You dream it, we build it from the ground up. Bring us your biggest heavy metal parts. 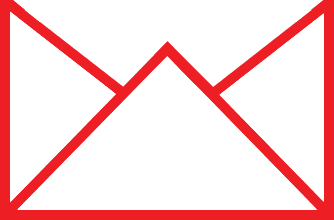 We'll handle it: repairs, rebuilds or short run production. We boast a huge CNC shop of over 40 machines ready to tackle the most difficult, precise rebuilding projects and parts for new production. Allis Tool & Machine specializes in the rebuilding and repairs of heavy duty CNC equipment, including wind turbines, critical drilling parts for massive oil rigs or steel shredders for the recycling industry. Ask us about our value-added services: assembly, provide materials, JIT production, pickup and delivery. Tell us what you need and we'll get it done. We've got machines in our shop capable of inner diameter (ID) and outer diameter (OD) turning along up to 3 axes of motion: meaning highly precise cuts for some of the largest parts in the healthcare, construction, transportation or energy industries. Multi-axis CNC milling machines at the Allis Tool & Machine custom metal fabrication shop are capable of milling components 82 in x 157 in x 100 in (up to 20,000 lbs). CNC programming allows for precision cuts never before possible with manual milling. We've got the heavy duty CNC machines to make it happen. You can't tackle a huge variety of equipment repairs without the machine capability to back it up. The grinding station in our machine shop features computer numerically controlled machines and manual grinders to help us restore life to worn and heavily used parts. Welding, stitching, cutting, sawing, curving. Custom fabrication of your heavy machine tool parts starts and ends at Allis Tool & Machine in Milwaukee, Wisconsin. 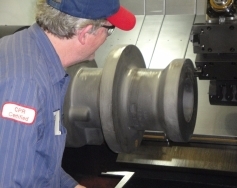 We'll fabricate bushings, spindles, shafts, castings and forgings to your exact specifications. Our full-service job shop handles every aspect of your project. 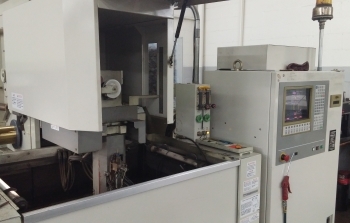 A state-of-the-art 4 axis wire EDM machine allows us to produce highly complex short run steel, copper, bronze, brass and cast iron components (among others). An electrically charged wire melts away tiny particles to make cuts with tolerances of +/- 0.0002 inches. Traditional cutting methods simply cannot compare with our 4 axis wire EDM. We help companies develop prototypes thru short run and even set up processes on their own floors for continued production. Send us your drawings and we'll help you concept and execute the production of your custom machined metal part. 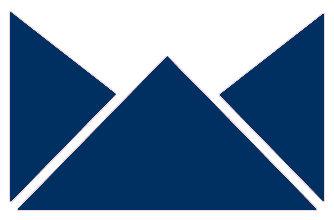 Employ state of the art equipment capable of machining prototypes and low volume parts that would fit in the palm of your hand, or could weigh as much as 20,000 lbs. Allis Tool machinists take pride in delivering quality parts beginning with programming, through fixturing, set up, run & CMM inspection. We machines metals in a temperature controlled, modern clean facility. We are your one stop shop. Consider us your tool room for high quality competitively priced CNC machining and turning. Our horizontal boring bar is perfect for parts as big as X-78” Y 59” and Z-57” that may have precision boring needs. 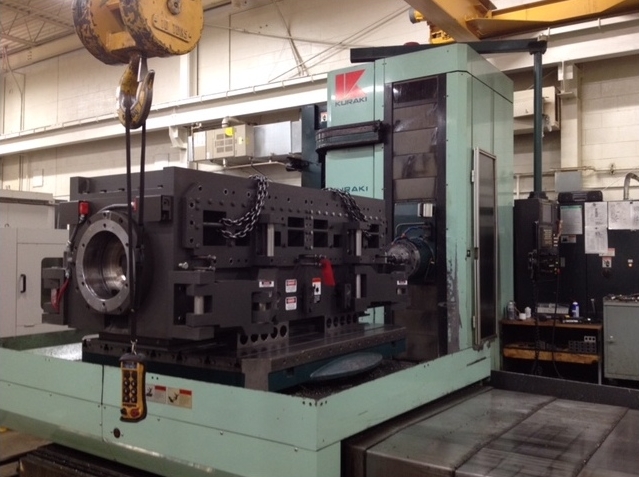 Our 630 millimeter horizontal machining centers have pallets for precision repetitive requirements. Let us provide heat treating, surface preparation, surface coating or assembly as needed. We have several bridge mills capable of CNC machining up to 4 meters long with a 90 degree head that reduces set ups and cuts cost. 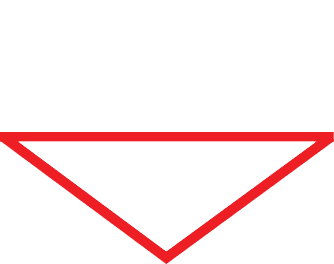 A partnership with Allis Tool & Machine Corp. is a long-term commitment to excellence. 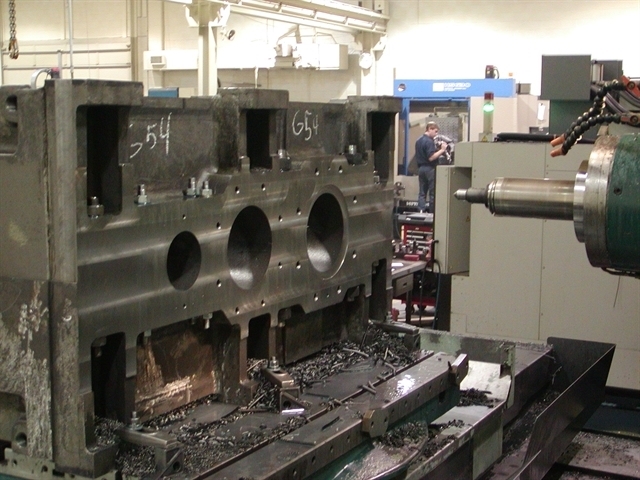 Our Milwaukee machine shop expertly handles your entire project from conception to execution. Time and time again companies return to us to fabricate and machine new large components for OEM’s. Contact our CNC fabrication job shop in Milwaukee, WI for a quote on our high precision machining services.